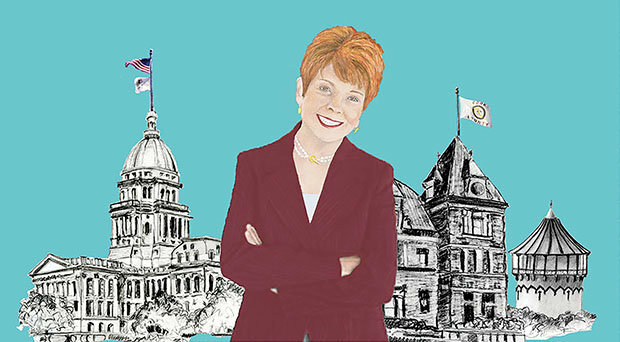 Judy Barr Topinka had a distinguished career in politics, serving as Illinois representative, senator, state treasurer and comptroller. 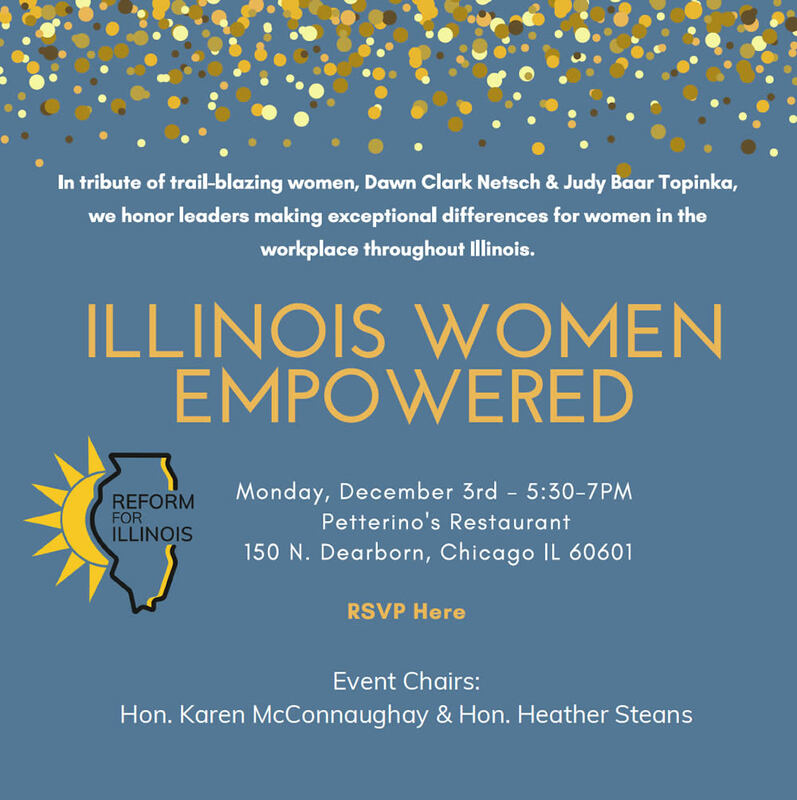 She was often called “colorful” so it is fitting that a new book about her is colorfully designed, from the front cover, filled with items representing her life, to each page bordered in red and filled with photos. 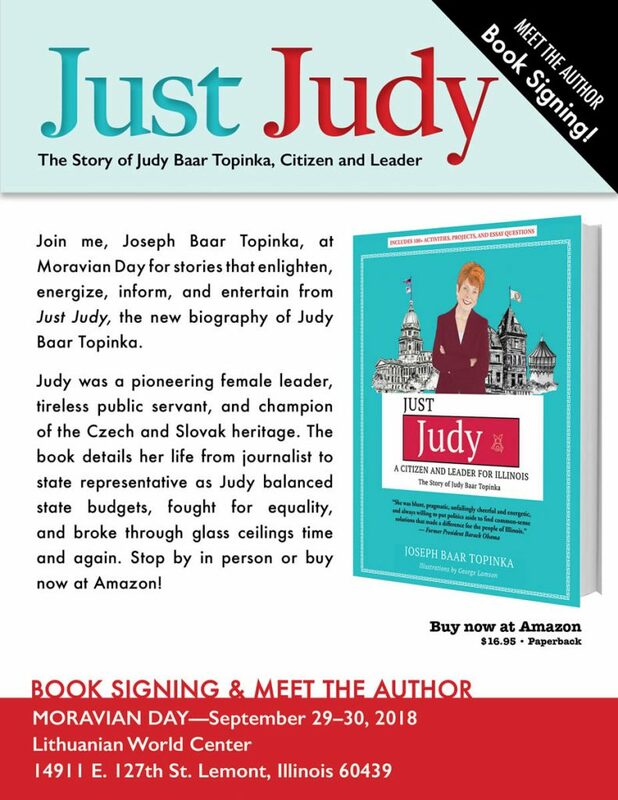 The book is a light, lively and living document of Topinka, which combines her biography and thoughts on leadership with activities teachers can use and questions students can discuss. 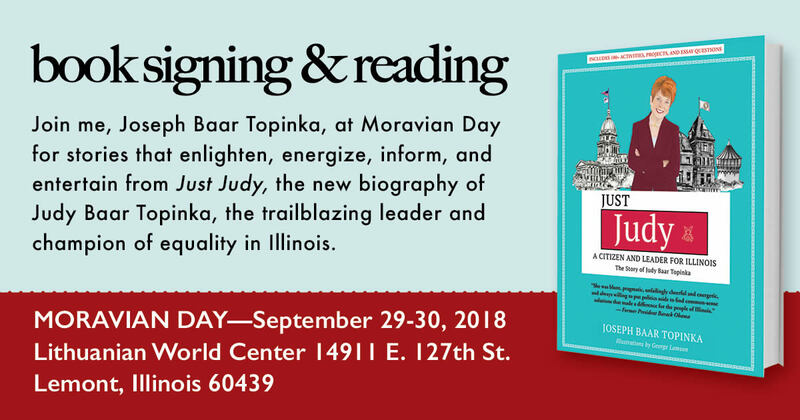 Join me, Joseph Baar Topinka, for stories that enlighten, energize, inform, and entertain from Just Judy, the new biography of Judy Baar Topinka. 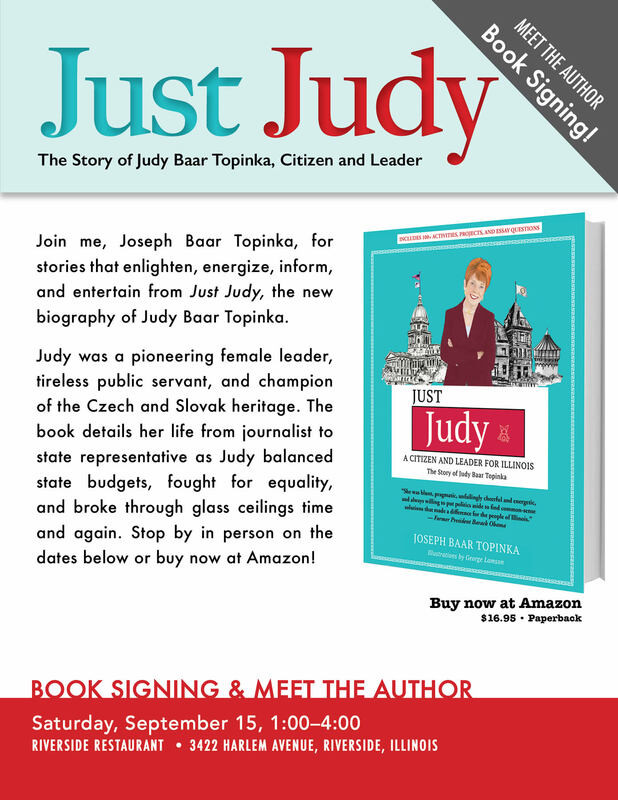 Judy was a pioneering female leader, tireless public servant, and champion of the Czech and Slovak heritage. 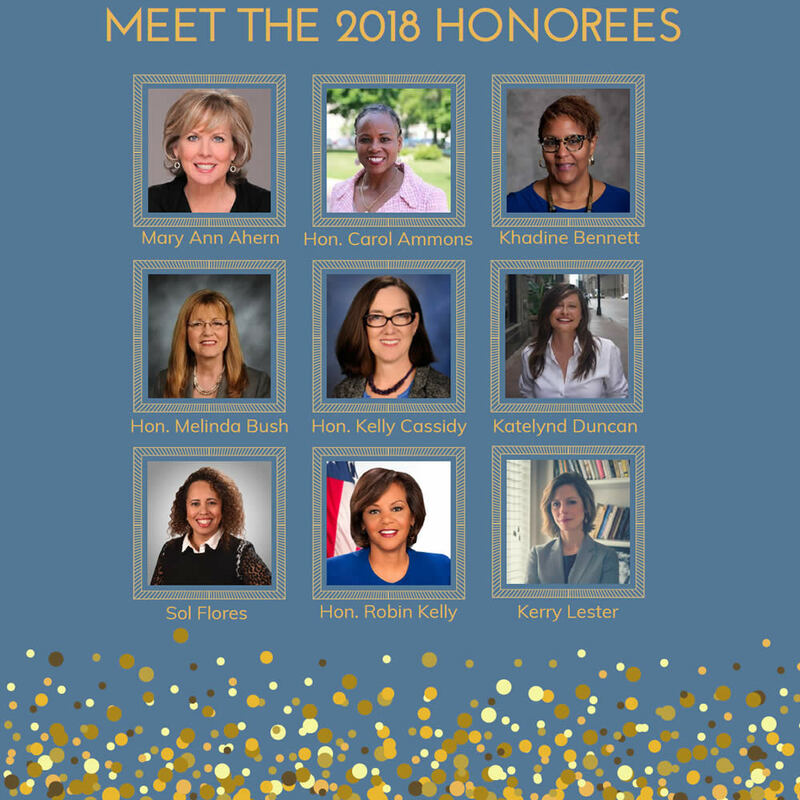 The book details her life from journalist to state representative as Judy balanced state budgets, fought for equality, and broke through glass ceilings time and again. 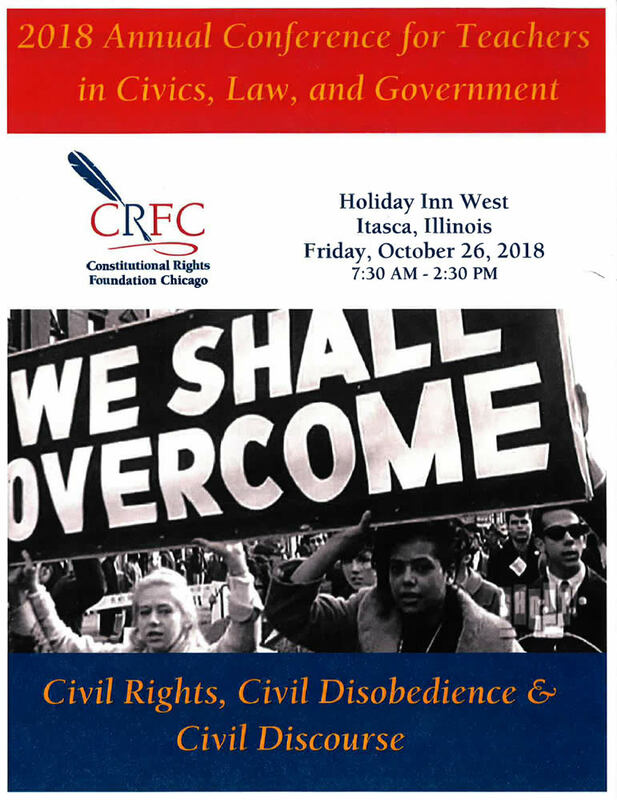 Stop by in person on the dates below or buy now at Amazon!